Having added additional power to your car, it may be time to consider some sports suspension upgrades or some chassis modifications. There’s no point in increasing the power to your car if you can’t put that power down on the road and handle that power in the twisty bits. The following sports suspension and chassis guide will show you the various things you can do to make improvements to your car. For this particular article we have included some advantages and disadvantages within the text of each of the individual areas, as they all provide different things and also have an affect on each other. Remember there’s a difference to the setup of a road going cars suspension and the sports suspension fitted to a car used on the track. Common sense tells us that with all the bumps and uneven surfaces of the public road, a car lowered to the ground with an over stiff sports suspension is going to be a nightmare to live with and could even be unstable. Also what will be the intended use of your car? Oh and remember public road means public road, not public race track! Many performance cars sold for road use already have adequate suspension setups, but if you have modified your car, then a few upgrades may be just what you need to keep it on the road. Do the changes in stages, it’s best to start with the cheapest and easiest, you may find this to be adequate for your needs. And be careful, the wrong adjustments/changes can cause your car to be unstable and produce excessive tyre wear. Always make the changes one step at a time (or as a matched package) and remember that if you change one thing it will affect something else. Personally we would start with your wheels and tyres (see the wheels, then the tyre guides). Ok we’re briefly going to talk about caster, camber and toe. 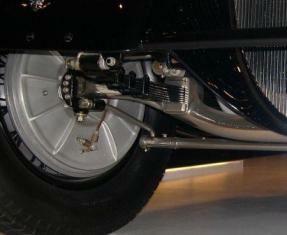 Some modern cars do not allow for adjustment of the caster or camber angles. However, many older cars have this ability. Ok this is a difficult one to explain (for me anyway). The easiest way for me to explain this is to say that the steering pivots points are in a position just behind the front wheels, in such a way that they are tilted back. 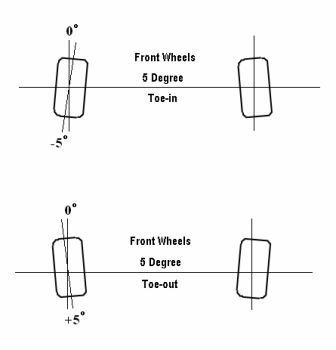 This increases the straight line directional control of the front wheels. It is also what is responsible for the wheels returning to a straight ahead position when you let go of the steering wheel (a bit like those of a supermarket trolley). Most common of the adjustments, we’ve created some diagrams, as it’s easier to see what we’re talking about. Zero camber – wheels straight – most standard cars will be setup close to this (maybe very very slight negative). Negative camber – Wheels are angled in at the top – many track cars have negative camber. Positive camber – Wheels are angled out at the top. When a car goes around a fast corner, its weight is transferred to the outer front wheel/tyre, creating a positive camber, therefore lifting the inner part of the tyre and reducing contact to the road. 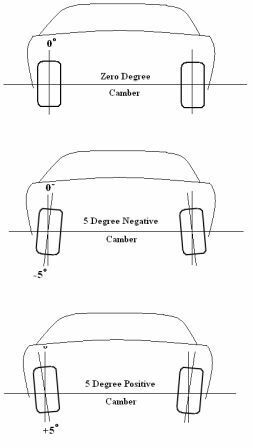 Therefore, when looking to increase your cars handling by adjusting the camber, most cars will be setup with a slight negative camber, as this helps provide an increase in tyre contact on the road when cornering and offsetting some of that weight transfer and body roll. Don’t get carried away here on your daily driver, inside tyre wear will be increased when doing normal driving. Note: picture is looking down from above at wheels. 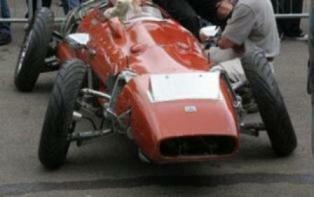 Is where the wheels are angled inwards at the front. This can give you greater straight-line stability but will reduce your turning response and increase tyre wear. When you take your car in for a wheel alignment this is what they normally adjust to factory settings, which is normally zero degrees – straight ahead. Is where the wheels are angled outwards in the front. Generally speaking a zero toe is best. Classic cars and even some cars until the late 80’s used leaf springs. They are made up of either several layers of steel or sometimes single leaves that bend to absorb the up and down motion of the cars axle. 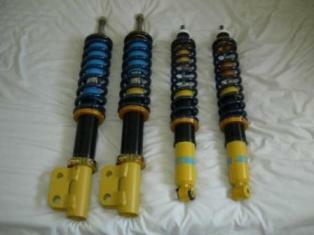 It is possible to modify these by replacing them with upgraded springs as well as using lowering blocks. Now this may sound a bit strange to you, but believe it or not stiffer sports suspension springs isn’t always the best idea (we’re talking road car here). The job of the springs is to keep the car steady and from bottoming out. Softer springs have more chance of allowing the wheels to move with the chassis. Now stiffer sports suspension springs will only make the ride harsher. You should add stiffer springs only if you are lowering your car, which will then allow for any reduction in travel height. Of course lowering your car will lower the centre of its gravity and therefore reduce the amount of lateral weight (load) transfer against the suspension and tyres. However using up-rated springs with standard shocks will probably unsettle the car and make the handling worse, through excessive bouncing. 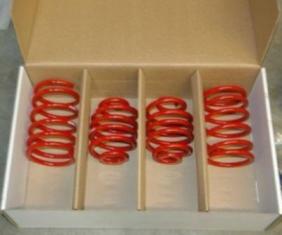 Free length – is the name given to the length of the spring removed from the car. Spring rate – is the stiffness of the spring. The purpose of the shocks is to dampen the travel of the wheels and attached components or more accurately stop the springs from oscillating. The more force generated in the compression (the fastness of the spring travel), the more the shocks will try harder to slow down that motion. Again fitting over stiff shocks will not allow the wheels to keep contact with the road. We recommend adjustable sports suspension shocks, these allow you to alter the shocks between softer and stiffer settings by turning a screw or using a tool on the top of the unit. It is best to buy a sports suspension kit (package) with springs and shocks as these will be matched to each other and work well together. Unmatched springs and shocks will likely cause problems. 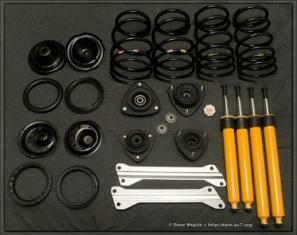 We do not recommend fitting excessively stiff/lower sport suspension springs with your standard shocks. Sports suspension coil-overs maximise both the handling and comfort. The coil springs can be adjusted up or down the body to alter the ride height (there are also non-adjustable versions). 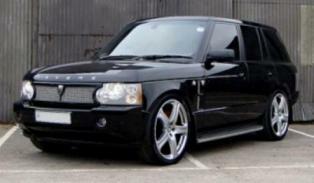 They also take up less room and therefore are ideal for those looking to put larger wheels on their car. For comfort, rubber bushes are fine, there is no harm in replacing the original tired rubber bushes with new ones, which will suffice for most. However if your after an increase in your handling performance, then you may want to consider polyurethane bushing. 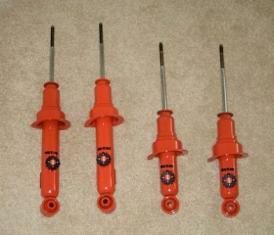 Rubber bushes tend to bend or deflect and become soft over time. Polyurethane bushes being of a more solid construction do not deflect or distort as much, therefore aiding in improving the geometry of the suspension components and help improve tyre to ground contact. However Poly bushes are known to stick to the metal components and become noisy and squeak, there will also be an increase in vibration through the car as well. Some kits now however have grease fittings to combat this and/or are made from more advanced polyurethane materials that reduce the noise associated with poly bushes. 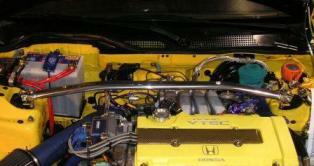 There are many kits out there that cover all areas of your cars chassis/suspension. 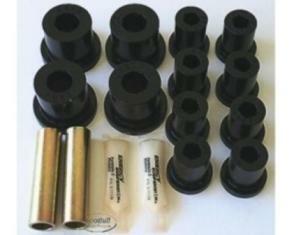 Decent Polyurethane bushing costs between 5 – 10 times more than rubber bushes. These are attached to the suspension mounting points (strut towers) and reduce the amount of flex in the chassis, aiding the job of the suspension components. Braces can be bought for both the front and rear of the car, as well as the cabin area for some convertibles. While we’re talking about braces, some cars can also have additional chassis braces fitted to various parts of their chassis. 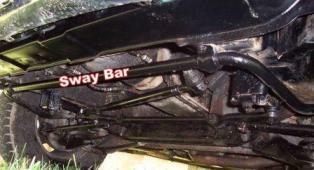 Also known as a sway bar. 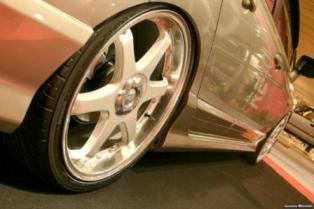 As your car corners, the body will try to roll outwards and put your tyres in a positive camber. By using an anti roll bar, you can reduce the body roll, without compromising ride quality too much (as per stiffer springs). This is done by the bar connecting the 2 sides of your cars suspension together, helping keep both wheels level when cornering. If your car has anti-roll bars you can increase the thickness of the bars, it is generally accepted that you should increase the stiffness of both the rear and front bars at the same time to reduce any imbalance and a possible over steer situation. Using Polyurethane or nylon bushing with an anti-roll bar will also help. Going too stiff though may reduce traction however. Some cars have a unibody design, where the front and rear are not connected by a chassis frame. The cars body work is a part of the structure of the car, this is suppose to provided an advantage in handling, however over a period of time the constant movement of the body will mean doors will not close/open properly and the chassis (floor plan) flexes more. Adding subframe connectors will help stiffen the chassis and therefore improve the cars handling once again. Ok, the obvious reason for adding these are for the safety aspects, which are designed to protect the occupants in the car. The roll cage or partial roll cage is ideal for those who have cars being used on the track or drag strip, while a roll bar/hoops will suit those with a convertible whether they use their car on a track or on the road. But apart from the safety gained (oh ok and the weight), they do also provide additional chassis stiffening, which will help with stabilising the suspension. Many modern cars are starting to have roll over protection designed into their structure. 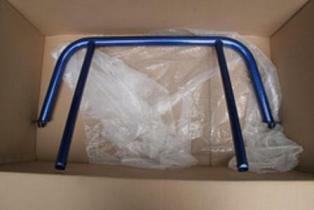 Be aware that there are many aftermarket ‘style bars’, that do not provide protection in a roll situation. This is weight that is not supported by the suspension of the car. It is the weight of the wheels and tyres as well as a percentage of the weight of the suspension components. You can improve the handling of your car by reducing this weight. The lower the unsprung weight, the less work the shocks and springs have to do to keep the tyres in contact with the road over bumpy surfaces. Light weight components will help to reduce unsprung weight and improve traction. Independent Rear Suspension allows each wheel on the same axle to move vertically and independently of each other. There is also a saving in unsprung weight. Actually we should mention that you can also have independent Front Suspension. There are various types of setups for Independent suspension. There are many new technologies coming out to aid the driver in the control of his/her vehicle, such as Electromagnetically controlled shocks, Active Yaw Control (AYC) and Active Stability Control (ASC), plus many more for braking and traction control in fact there are too many for me to go into all of them, however you may see some listed in my Abbreviations section. Don’t over do it, small changes will be best, as well as cheaper. 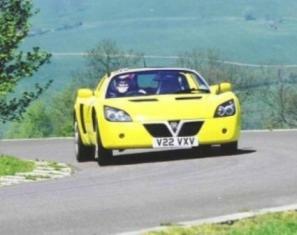 Stiffening your road cars suspension can actually make the handling worse if you get it wrong. 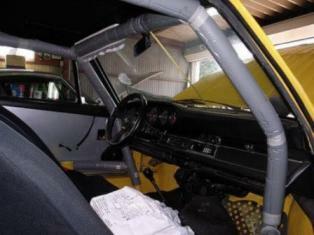 Too much importance is placed on the handling of a road car on a track by many TV programs. How many of us are going to take our cars handling to the max on the public road? 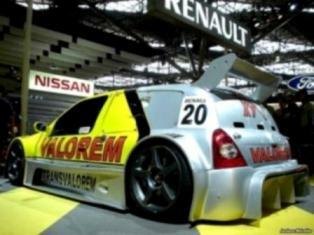 Track car yes, but road car – no, be realistic! Set the suspension up to soak up the bumps, but stiff enough to give good cornering stability and control given the power of your car. Remember a race track is smooth and a road has many obstacles! Believe us we’ve had cars bottom out, jump left, jump right (bump-steer) going over small imperfections in the road (you don’t even need to be going fast) and we can tell you that does nothing for your cornering speed or your heart (especially if it’s wet!). After you have added a set of nice wheels and tyres – we recommend a sports suspension package, with adjustable shocks and a set of matched progressive springs, slightly lowering your car if needed. After you alter/modify your suspension, it is advisable to have a 4 wheel alignment carried out. If you’re still not satisfied, then maybe a strut brace and poly bushing if you must – really depends on the age/type of car. Take a look at owner/club websites or find someone who specialises or has had mods carried out already, they will have done the trial and error for you.